RockwellParts.net Discount Rockwell Transmission and Differential Parts Delivered Worldwide. Genuine OEM and aftermarket parts are available for almost any repair. New, rebuilt and good used parts are also available in most cases. Call for availability and pricing. We not only offer parts we also sell complete units. 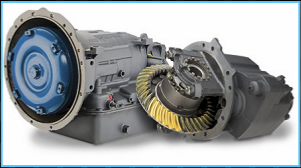 Remanufactured, rebuilt, new and used Rockwell transmissions, differentials and parts. No matter what model Rockwell your working on we will have the parts you need in stock and can deliver them to your shop in no time. Worldwide delivery and overnight service is also available. Having trouble locating an out dated part? Give Rockwellparts.net a call or send us an e-mail and we will be happy to help you locate it. It's what we do so it's no bother. If its out there we will find it. Whether your shopping for Rockwell gaskets or a master rebuild kit Rockwellparts.net is your one call because we stock them all. Shop for Rockwell Bearings, shims, shafts, top covers, cases, housings, rebuild kits, bearing kits, gasket sets, gear sets, seals, bushings, shift forks, synchronizers, gears and much more as well as fully rebuilt transmissions and differentials for sale. Give us a call, we'll be happy to help. Free expert advice on rebuilding Rockwell models and repairs.